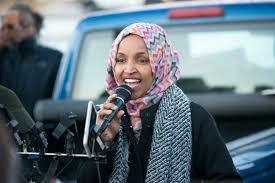 Because she has dared to challenge the way supporters of Israel have worked to silence debate on US policy toward the Israeli-Palestinian conflict, she has become a victim of incitement and hate crimes, and the target of legislation meant to shame her. The weapon of choice in this campaign has been to demonize her as an antisemite. Her "sin", it appears, is her continued umbrage over the double-standard that exists in American policy toward Israel and its treatment of Palestinians. During Israel's assault on Gaza, for example, she criticized the failure of the US to pierce through Israeli propaganda and see what was actually happening to Palestinians in that impoverished strip of land. Then after facing down attacks by her new congressional colleagues, she "sinned" once again when she challenged the power of AIPAC to intimidate politicians and silence debate on Israel/Palestine.